A Typical Night On My Bus Route: "What Have We Become?" Driving a bus for a living gives one a unique insight into the pulse of city life. You are in the streets every night or day depending on your schedule. Personally, I prefer to drive from the late afternoon into the wee hours of the morning. Because of my preferred work hours, I get to see the transition of Orlando Florida from the place called “The City Beautiful” into the fat ugly woman that hides behind the facade of cheap dollar store make-up. What I observe is not always a pretty sight to behold in the twilight hours, but its reality. A reality that the starry eyed tourists who are so glad to experience the lie perpetuated on them of paradise while doling out big bucks for the illusion that does not exist for the residents who live here. Residents who oftentimes must slave for the little money that barely covers the most basic of living expenses, suffering on these thankless gigs while wearing the plastic preprogrammed smile that is mandatory to maintain employment in these hopeless plantations of tourist servitude. And if you look closely at their smiles, it is more a grimace of pain than it is of happiness! How does the saying go? Grinning and bearing it? I often ask myself the question: “What is reality like for the various passengers who board my bus?” Sometimes we are not even aware or understand how blessed we are until we see what someone else has to go through. The overheard cell phone conversations and the not so subtle disputes between feuding lovers, gay or straight…the sleeping drunks who almost always miss their stop due to their overindulgence and the lonely hardworking love starved wives who crave a little esteem building flirtatious conversation before going home to an abusive husband are only some of the things that we, who transport the best and the worst examples of the human condition must witness on a constant basis. 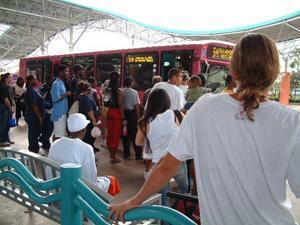 Not only do the people who choose to ride the bus (And those who have no choice!) come from countless cultures, backgrounds, mindsets and upbringings, but the neighborhoods themselves tell a story that may not be the most politically correct when you understand the motives behind how things became the way they are….with the by products of these artificially gentrified areas being poverty, unemployment, hopelessness and the deterioration that’s inclusive with these symptoms. No, this city is not all it’s cracked up to be, and I receive evidence of this every single night I put in my 8 hours in the unpredictable wilds of the underbelly of the City Beautiful. Heading out on route number 21 from downtown through the Black Orlando neighborhoods of Washington Shores and Carver Shores, considered and accepted by most as the ‘hood, it is almost a shock to cross over one major street and find yourself in a place lined with luxury condos, upscale eateries and all of the amenities of a literal heaven on earth. But what is NOT a shock by this scenario is that here in Orlando, like so many other countless cities across amerikkka is that the unwritten rule is that if you as a Black man or woman find yourself on the affluent side of Kirkman Road you must expect to be under the scope of suspicion as to what your motives there may be. On this particular Saturday night things were going routine as usual, the regulars boarded and occupied the same seats as they have a thousand times before….just as the same derelicts religiously stand at the bus stop even with no place to go. You see the police performing the duties as usual in predatory fashion……as well as the sickly crack whores walking the dank dark warehouse laced streets off of Church Street with an uncanny split second ability to catch a potential customer’s eye as they drive by. 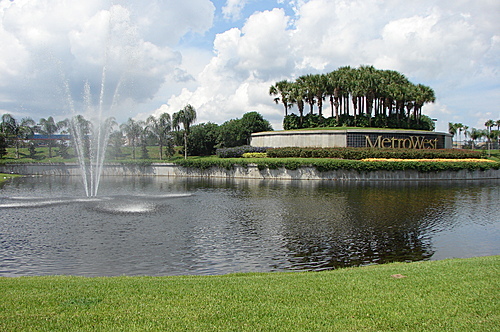 Usually on a Saturday evening, there isn’t much of a choice for excitement as an inner city youth without the finances or stable home life to enjoy much of anything in the 407. If you take to the streets anything can happen, you might catch a bullet that was meant for someone else. Getting robbed or assaulted is a probable scenario here, so many innocent and not so pristine characters end up hopping on the city bus for a trip to Universal Studio’s CityWalk to enjoy an inexpensive night on the town to see the happenings to take their minds away from the bleakness of growing up in a depressed neighborhood. So while it is not a problem taking these youngsters there to enjoy themselves, the challenge arises when they are ready to return home on my last trip back into the so called ‘hood. Routine as usual, leave Sand Lake Hospital in the affluent Dr. Phillips area at 11:53. Arrive at Sand Lake Rd. and Turkey Lake Rd. at approximately 12:02. 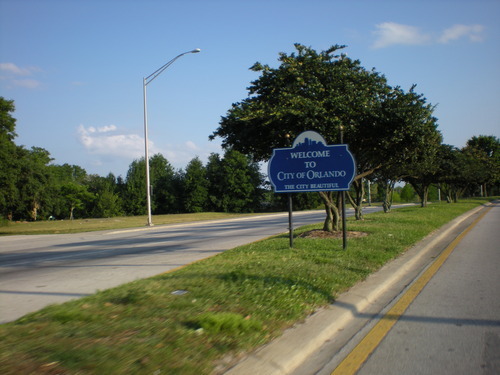 I pick up a few dishwashers and a waitress or two as well a handful of hotel workers from the various establishments located just a short walk over on the very popular Orlando tourist area called International Drive. These are my regulars, hard working long suffering law abiding people from here and abroad who still hold on to their sense of decency to believe that the only way to a better life is through sacrifice, gainful employment, discipline and the ability to focus on their goals large and small. Most of them do not make much money but they have carved out a God fearing clean life with the little that they make and almost always have a pleasant demeanor regardless of the lack of funds in abundance. They do not feel as though anyone owes them anything and they would never take anything that does not belong to them or that they didn’t work for. The feel good stories of the human spirit that the evening news just seems to refuse to focus on. Bright spots in the darkest of grimy nightlife that lets one know that there are still good people out here in the world that care. One of the women, who appears to be a waitress, always looks so tired when she boards my bus but always manages to muster up the strength to share a kind word in passing. I am secretly one her most intense secret admirers, not from the romantic standpoint, but from the perspective of respecting her for her undying determined spirit. She gets off at Kirkman Road and Raleigh St. but undertakes a seven mile walk afterward to reach her home because the bus service to her part of town has ceased. I remember one night it was raining cats, dogs and a few bricks and she STILL made the long trek after food shopping at Walmart once she got off of my bus! How many of us would complain about the simple task of even going out in the rain just to take out the garbage? What about the quiet Mexican man who appears to be in his mid-fifties who sleeps when he gets on my bus because it is rumored that he works sixteen hours a day, six days a week in order to send money back to his country to take care of not only a sick child but also an ailing mother who doesn’t seem like she has too much longer on this earth. When these wonderful people board my bus, it gives me a sense of hope in the human race. When I see them I realize how interconnected we are regardless of national origin, culture, race or creed. I see how much we all want the best for our families in the areas of housing, education and healthcare. These are the faceless people who are the backbone of this nation who have also been failed by the Bush administration…faceless to most, but very much real to me every night that I drive. 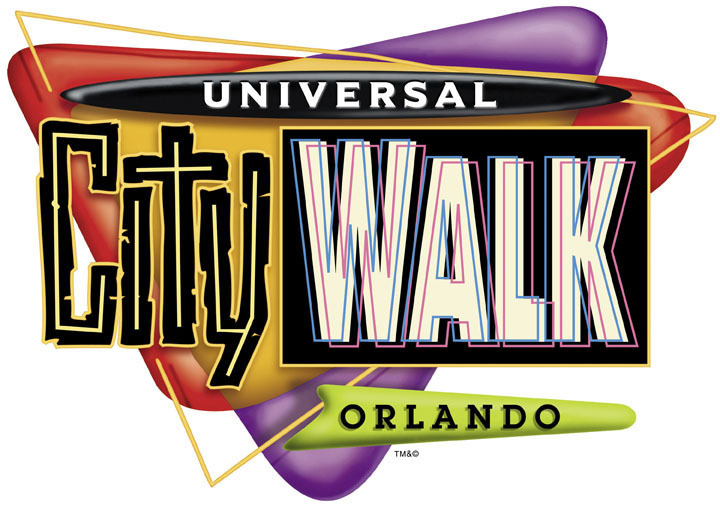 As I swing around Universal Boulevard, I couldn’t help but think about how peaceful and routine things were as I approached CityWalk where much of the Orlando nightlife is in progress. It was actually 12:15 as I pulled the bus swiftly to the CityWalk station only to realize that what I saw would make the tranquility that I had just experienced a thing of the past! About forty individuals were waiting for me, mostly male and very much Black, all under eighteen and very animated to say the least. Long black over sized tee shirts seemed to be the order of fashion on this night as well as belt less pants several sizes too big that required a helping hand to hold them up mere inches above the knees exposing the undergarments and derriere of the weed smelling model. Sadly and honestly, this is a sight that is the worst case scenario from what I hear from most seasoned bus operators and the reason why they refuse to work the lines that go through the African-American neighborhoods. As I tentatively closed in on the curb after deeply inhaling the artificially filtered air that oftentimes makes me completely forget the thick and humid jungle-like climate that wraps the exterior of my bus, I notice the endless sea of faces that are peering at me and jockeying for a favorable position by the entrance door to board my vehicle before their friends. I remember thinking to myself how I played such games when I was much younger but as I was soon to find out, that is where the similarities end with my upbringing and the present day sorry excuse for what these young men and women call childhood. Immediately upon opening the entrance door for this team of youngsters we quickly realized that the peaceful ride home would be peaceful no more. In the twinkling of an eye, the scent of body odor, weed, liquor and neglect of female hygiene offensively rushed our nostrils like a running back going for the tie breaking touchdown in a highly contested Super Bowl! Not only that, but the only passenger spared from the profanities and boasts of sexual prowess that would be executed upon arriving home was the deaf mute man that visually tried to figure out what was so obvious to the naked eye! Their lack of decent manners, no execution of proper etiquette, refusing to be considerate to the shared and limited space of the vehicle were no where on the list of priorities for these young Black men and women who acted below the level of the primates! It hurt me to see this as it hurts me to say this! But it’s only the TRUTH! Here we have in this day and age a President of African American descent who should inspire these wanna-be thugs to the highest level of excellence, but it seems as though to go the opposite way is what they want! To mumble the English language in a way that would make an illiterate slave cringe, and sounds as though they have a handful of cotton shoved in their filthy mouths shows that there was no focus in school, and for many the most important event their day is to get on their MySpace page or watch Music Videos. Now I am just telling it like it is and am beginning to go PAST the point of compassion! They KNOW better and I refuse to make excuses for them! Now I understand the “system” and understand how there is so much institutionalized racism etc. etc. But now there is absolutely NO excuse to exist this way in a civilized society! Even a monkey will act better than they do and think before they act! Tell me this…why can’t these poor examples of the human race not put the same type of energy toward reading a damn book to learn something to elevate themselves? Why can’t our young wayward Sisters carry themselves in a Queen like fashion instead of walking around here in public as though the only offering they possess for the world is their scantily clad breasts and butts, enhanced anatomically by their whorish garb? Now the entire trip inbound we had to endure generous amounts of profanity, large servings of obscenities and heaping portions of filth. Ninety-nine per cent of the time, these types act out for attention, you can tell this because after acting out for a time with no corrective reaction from an adult, they will pause and look to see if they are getting under your skin. They KNOW that they are out of order when they act this way, but somehow they feel empowered by it not knowing that they are not only degrading themselves, but that they make everyone who resembles them look bad in the process! While at that moment I had decided that enough was enough and it was time for me to step in and let these clowns know that this type of behavior was NOT going to be tolerated, they all started to sing this song as if it were some kind of chant. I knew at this point that it wasn’t a good thing because this one particular kid who was obviously the ring leader of the group at about seventeen years of age, who wore a bandanna around his neck, pulled it over his face to conceal all of his features except for his eyes. This was really a dumb move because he rode the entire trip with his face uncovered, it was foolish because the various cameras concealed and recording activity on the bus caught his face like there was no tomorrow! LOL! Some thug he was! But yet and still I knew that something was about to jump off at any second now. Someone pulled the chord to set off the chime to alert me that there was a stop request. This was the dreaded Carver Shores stop, the stop that appeared where most of the thug boys would exit on, not a good sign with the ever increasing crescendo of the song getting louder and louder as the rear door swung open. As the first two or three teenagers rushed off of the bus, the masked ringleader positioned himself in front of the Mexican gentleman (Who had his eyes closed in a futile attempt to tune out the madness in his midst!) and swung his clenched fist from the floor punching on the side of his HEAD not once but THREE TIMES! In shock as this travesty unfolded, I decided to observe the assault so I could better explain the incident to the police so I remained very calm. And as much as I wanted to go after those guys for what they just did to that innocent gentleman, the fact of the matter is that I would not have been backed legally and most likely would have been out of a job for doing what was morally correct. But imagine, relaxing on a bus bothering no one, returning home from a hard days work and someone does this to you? I was quite angry! The dumb chant continued as I realized that this was some sort of gang initiation, something to do to prove ones toughness or manhood! Stealing and bum rushing an older gentleman proves your manhood? Last time I checked, taking care of your family was a gauge of your manhood. Exhibiting strength, character and sacrificing your wants in order to provide for the needs of your family was a true test of manhood. It was a surreal scene indeed as that very same loser immediately ran to the FRONT of the bus and removed the bicycle of yet another passenger who was unknowingly distracted by the violent happenings within his immediate proximity. The out of control crowd spilled out into the streets to celebrate the inauguration of yet another prison bound thug in the making. A ghetto ceremony that almost guarantees even more followers as the young kids of single digit ages who look up to and admire these law breakers that bring in the next decade of recruits and later inmates to keep the prison population topped off and full! Isn’t it sad, how many of us act starstruck as though we are in the presence of a top celebrity when we run into those who come out of prison as though they have accomplished something? Isn’t it sad, that in the netherworld of ghetto culture, a man who has just been released is viewed as a prime catch by these women plagued by toxic levels of low self esteem? Isn’t it sad, that a person who has achieved a college degree can never gain the same level of respect in the street as a man who just held up the local liquor store for a few hundred dollars (If THAT much!) with a dirty stolen gun? As my bus sat still idling in the humid Florida night, the mayhem quickly dissipated as all who were involved at least had the sense to leave before the arrival of law enforcement. Almost like the peace and calm AFTER a bad storm, there was a collective moment of disbelief amongst those who couldn’t digest what had just happened. The senselessness of it all and how it could have been much worse. The sad part is that as the police interviewed the victim and asked if he wanted to press charges, he declined to do so because of the fear of being deported because of his so called illegal status here not being a citizen! Isn’t that twisted? If I were a judge in this case, I would do all in my power to make sure this man gets justice and also to expedite his gaining citizenship status because he is an example and a plus in any community that he lives in. Isn’t it funny that those who are born here that indulge themselves in such destructive behavior do no have the sense to put their collective energies together to make a positive difference in the communities in which they live so that one day soon NO ONE would ever think of referring to it as the ‘hood? And instead of pointing the finger at these out of control youngsters, what about the parents example and upbringing that left these kids in this sad state? Were they too busy getting their groove on to spend the necessary quality time to SHOW them how to become progressive adults who are upwardly mobile and law abiding? I can go on and on forever and speculate as to the causes and factors that make our youngsters the way they are. Volumes have been written on this subject and many more books will be created in the future to document this phenomenon. But after all of the endless conversations with other drivers and many inquiries from the passengers during the week after this incident, it was a statement made by an older Caucasian gentleman who pretty much summed up a good point that we all need to ponder. He said the difference between us back in the day and now in the present time as far as the attitude of the young generation is that we growing up did not EVER want to disappoint our parents. We didn’t want to do anything to make them embarrassed! We didn’t want them to have to be summoned to come to our school to answer to our undisciplined behavior. We didn’t want them to hear from anyone else ANYTHING negative about anything that we did! But the present generation does not even register this tiny modicum of caring in their cold viper like hearts! And it’s funny, although I do not have the luxury anymore of having my parents on this earthly plane, I STILL carry myself in a way that will make them proud, make them feel good about what their son is trying to do with his life in my own little way from what they taught me……..
And I am almost fifty years old………. Next : “You Have A Facebook Friend Request From: The Devil!” Are Social Networks A Gift From God Or A Wolf In Sheeps Clothing?